BACKGROUND: Every family expect to have a healthy mother and new born baby after pregnancy. Especially for parents, pregnancy is a time of great anticipation. 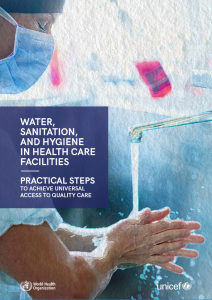 Access to maternal and child health care insures safer pregnancy and its outcome. MWHs is one the strategy. 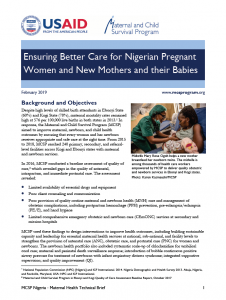 The objective was to synthesize the best available evidence on effectiveness of maternity waiting homes on the reduction of maternal mortality and stillbirth in developing countries. METHODS: Before conducting this review non-occurrences of the same review is verified. To avoid introduction of bias because of errors, two independent reviewers appraised each article. Maternal death and stillbirth were the primary outcomes. Review Manager 5 were used to produce a random-effect meta-analysis. Grade Pro software were used to produce risk of bias summary and summary of findings. RESULTS: In developing countries, maternity waiting homes users were 80% less likely to die than non-users (OR = 0. 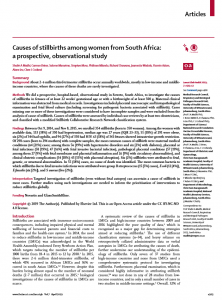 20, 95% CI [0.08, 0.49]) and there was 73% less occurrence of stillbirth among users (OR = 0.27, 95% CI [0.09, 0.82]). 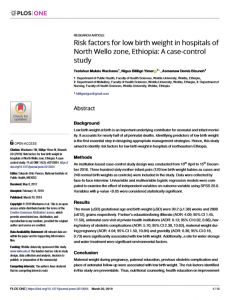 In Ethiopia, there was a 91% reduction of maternal death among maternity waiting homes users unlike non-users (OR = 0.09, 95% CI [0.04, 0.19]) and it contributes to the reduction of 83% stillbirth unlike non-users (OR = 0.17, 95% CI [0.05, 0.58]). 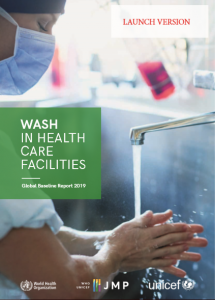 CONCLUSION: Maternity waiting home contributes more than 80% to the reduction of maternal death among users in developing countries and Ethiopia. 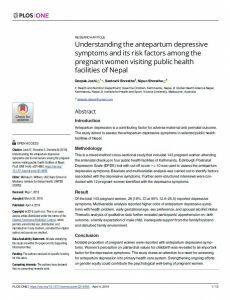 Its contribution for reduction of stillbirth is good. More than 70% of stillbirth is reduced among the users of maternity waiting homes. 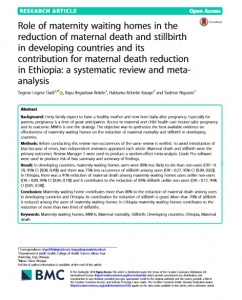 In Ethiopia maternity waiting homes contributes to the reduction of more than two third of stillbirths.